Mohd Saiful Bukhari Azlan, the former aide of opposition leader Anwar Ibrahim who claimed he was sexually assaulted by his boss, has said that, despite his so-called ‘coffee boy’ status, he had accompanied Datuk Seri Anwar on four overseas trips, including two to Singapore. In a blog post, Saiful also claimed to have helped arrange secret meetings in a luxury condominium unit between Anwar and government politicians who wanted to defect to the opposition. The claims are sure to rile Anwar and the Parti Keadilan Rakyat (PKR), as they have portrayed him as a volunteer ‘coffee boy’ who is being manipulated by Umno leaders. Saiful, 23, is in hiding after claiming on June 28 that Mr Anwar had sodomised him. The PKR, which is unofficially led by Anwar, has dismissed Saiful’s charges. Some party officials have also disparaged his role in the party, saying that he was a university dropout who worked as a part-time volunteer, mostly driving Anwar around and making him coffee. 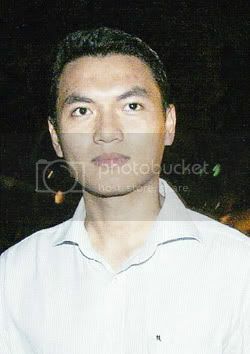 Saiful, in his blog mohdsaifulbukhari.blogspot.com, portrayed himself as someone who was close to his former boss. His latest post on Aug 1 was titled The Tasks of a Former ‘Coffee Boy’ to DSAI (Tugas-tugas Seorang Bekas “Coffee Boy” Kepada DSAI). Anwar is known as DSAI to his supporters. DSAI stands for ‘Datuk Seri Anwar Ibrahim’. In the post, Saiful said that his first duty was to help the PKR’s chief of staff manage Mr Anwar’s schedule. His second duty was to ‘arrange secret meetings’ for Members of Parliament who wanted to cross over to the opposition. He claimed that the meetings took place in a unit at the posh Desa Damansara condominium. He named the owner of the unit as a grassroots leader of opposition Parti Islam SeMalaysia. But it is his alleged third task that could become the biggest problem for the PKR. Saiful said that he had accompanied his former boss to Hong Kong and Bangkok in May, and to Singapore on June 16 and June 18. ‘It is up to you to believe or not. Or try and ask DSAI to explain himself whether this is true or not,’ Saiful said. ‘To DSAI, I wish him good luck in his contest,’ he added, a clear reference to the politician’s plan to stand in a by-election in his old Penang constituency. The blog, if it indeed originates from Saiful, has had only three posts. The blog’s Malay title is By God, Religion, Race and Country (Demi Allah, Agama, Bangsa Dan Negara). Anwar has not denied that Saiful had accompanied him abroad when asked about it in a July 4 interview with online newspaper Malaysiakini. He added that his aides took turns to go with him whenever he had to give a public lecture or attend conferences abroad. Saiful’s latest post is expected to prompt Anwar’s political foes to fire fresh salvos at him. And they are likely to be along the lines of a blog post two weeks ago by Khairy Jamaluddin, Umno Youth’s deputy chief. your volunteer coffee boy on an overseas visit?